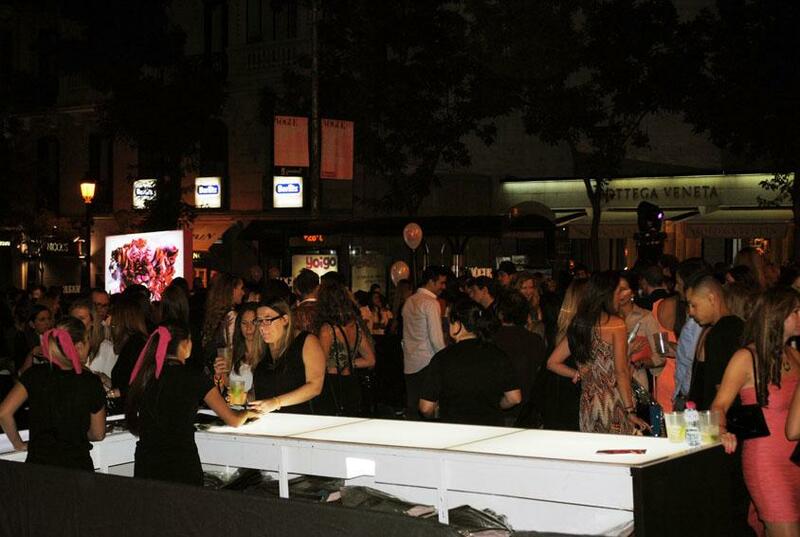 One year the Vogue Fashion’s Night Out (that already you have in 2011 and 2012) quotation is given in Madrid. Tomorrow Thursday 12 Since in the afternoon, after the closure of the establishments, around 20:00, starting a night designed for shopping and to discover stores that are not seen every day. Brands looking to surprise their clients and prepare all kinds of parties, discounts and surprises that we detail below. All stores will present their new collections for autumn/winter 2013 / 2014 by which we select some brands offering separate also other proposals. A year in which cosmetics and beauty earn much interest with news in most stores and corners that are related to this type of product. ABC Serrano, in calle Serrano, 61, there will be discounts, parties, music and gifts among other surprises. Accesorize, Calle Ayala, 25, there will be a 20% on all purchases and a surprise contest. Acosta, in the calle Claudio Coello, 46, presentation of the new store and sorpressas. Adolfo Dominguez, in the calle José Ortega y Gasset, 4 and calle Serrano, 5. Special promotions and stylists of GHD fanning clients. Line U in Fuencarral, 5, will have discounts. Agent Provocateur, in the calle Claudio Coello, 79, there will be three models that give life to the winter catalog. A gift for purchase. Aristocrazy, Calle Serrano, 46, there will be a party with music, bar of gin tonics and candy bar, in Serrano garden, live music, cocktails and draw on a piece of the collection among the first 150 attendees. Barbour, in the calle Jorge Juan, 5, special discounts. 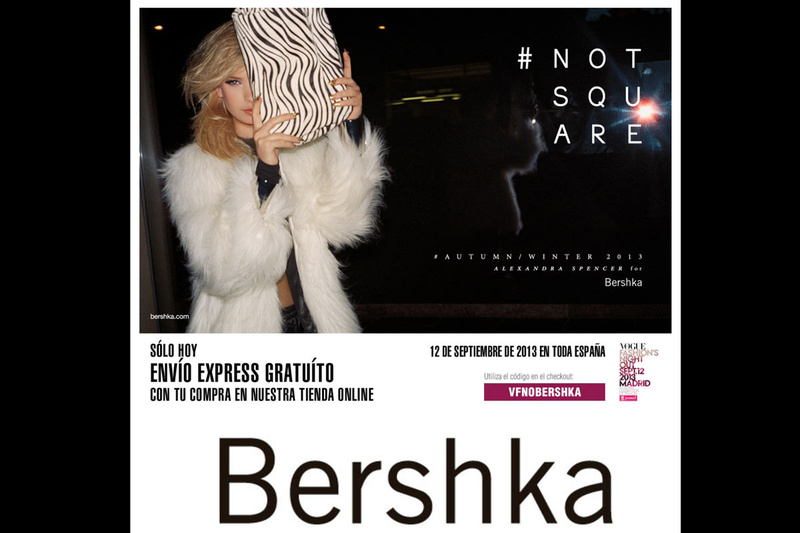 Bershka, in calle Gran Vía, 25, there will be a party with DJ. Boss, in the calle Jorge Juan, 7 and in José Ortega y Gasset, 22, there will be a tour exclusive and private by Boss shops. Only for guests. Bottega Veneta, in the calle José Ortega y Gasset, 13, there will be a party. Bulgari, in the calle Serrano, 49 and Serrano, 47, there will be an exhibition of Serpenti accessories and a gift for every purchase. Calvin Klein Jeans, Calle Fuencarral, 5, party with DJ. Calzedonia, Calle Fuencarral, 8, there will be surprises. Camper, in the calle Serrano, 24, a 20% discount, a gift in some shopping and music with a DJ by clicking. Castañer, on the street Claudio Coello, 51, a limited edition model will be presented for tonight. Chopard, Calle Serrano, 51, there will be a raffle and other surprises. Christian Louboutin, in the calle Claudio Coello, 13, party and other surprises. Clarks, in the calle Hermosilla, 12, gift bags and a drawing of a pair of shoes. Coach, in El Corte English of Serrano, 47, a gift for every purchase umbrella. The presentation of its first Barbie doll. 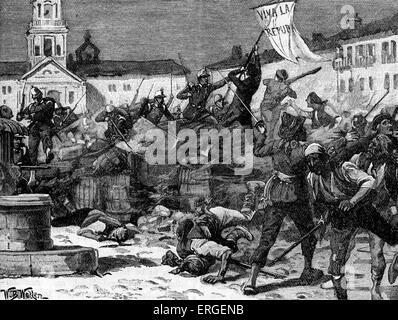 Cortefiel, in the calle Serrano, 40, discounts and surprises. COS, in the calle Claudio Coello, 53-55, a discount of 20%. Custo Barcelona, Calle Serrano, 16, there will be discounts. Pains promise, in the calle Desengaño, 22 and 69, Claudio Coello, creative directors will present the collection, there will be discounts and a detail on each purchase while supplies last. Essie, in Center 20 + 3 by Essie in calle Sagasta, 23, a free nail enamel with a free nail tone of the fall collection, presented exclusively in this Hall. A nail lacquer from the mark to clients as a gift. Florentine, Calle Lagasca, 71, there will be discounts, a cocktail together with Codorniu and Galician chocolates Pedras de Santiago and gifts for participants. Fosco, in the calle Ayala, 13, a 20% discount. Guess, in the calle Claudio Coello, 44, will have the opportunity to participate in a special event “Denim is Key”. At Guess stores the participant will receive a key and if it is one of the lucky ones to open the “box denim”, located within the shops, you will be given a Guess gift card valued at €170. Will give participants a voucher that offers a 10% discount on any item in the week following the event and the activities of the Fashion´s Night Out. Hakei, Calle Ayala, 34, different discounts. Hoss Intropia, Calle Serrano, 18, various surprises. Intimissimi, Calle Serrano, 56, a discount of 10%. IKKS, in the street Claudio Coello, 41, a 20% discount and the presentation of the bag Who’s the Queen. Isabel Marant, Callejón de Jorge Juan, 12, a 10% discount. Juanjo Oliva, in the calle Orfila, 7, 1º, a 10% discount. Kina Fernández, Calle Claudio Coello, 75, you can meet the designers and there will be various discounts. Kling, Calle Fuencarral, 71, will have different discounts. Lancome, at the stand of Lancome’s Court English of Serrano, 47. 2 Make Up Artist Lancome will offer clients the perfect eye look. For a gift: Génifique Yeux Light Pearl (5 ml miniature) and a rose. On the purchase of a Lancome gift product: miniature 7 ml Advanced Génifique, sample 5 ml Dreamtone according to pigment profile, miniature BI FACIL 15 ml, 5 ml, 5 ml La Vie miniature miniature est. Lavand, Calle Velazquez, 40, there will be a party, with catering and cocktails. Levi’s, Calle Fuencarral, 9, The Bright band will be playing live. There will be a discount of 20% on the chosen look and the possibility of getting a free pair of jeans. Maje, in the calle Lagasca, 88, a 15% discount. Mango, Calle Velázquez, 49, various surprises. Marni, in the alley of Jorge Juan, 14 bis, 10% in the pre-winter 2013 collection. Marypaz, in 117, Fuencarral and calle Goya, 57, Fuencarral, 55 different discounts and a lot of products. Michael Kors, in the calle Serrano, 32 and Fuencarral, 10, a party with surprises. Miu Miu, in the calle Claudio Coello, 72, a percentage of the sales will go to the Foundation help in action. Nice Things, in the calle Lagasca, 49 and Argensola, 3, different discounts, gifts and surprises. 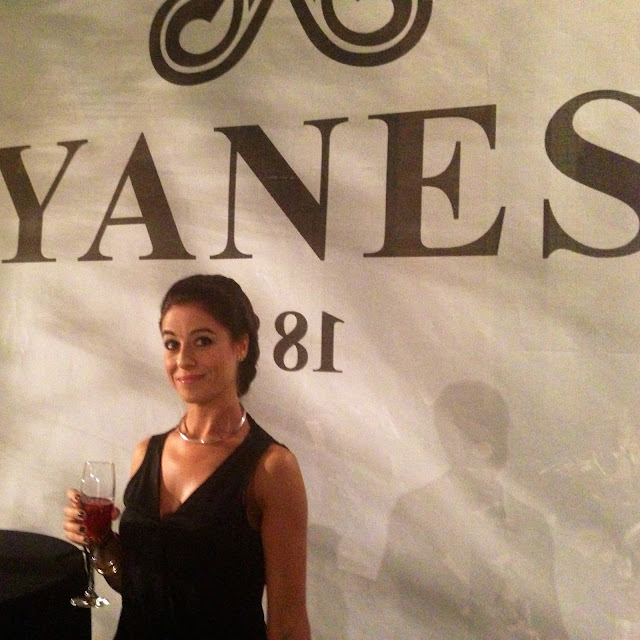 Oysho, in the calle Hermosilla, 16 and Goya, 65, discounts and surprises. Pandora, Calle Velázquez, 39, a special exhibition with the new collection jewelry. Pepe Jeans London, at calle Hermosilla, 17, Claudio Coello, 50 and Fuencarral, 23, various surprises. Pimkie, in the calle Fuencarral, 18, a 20% discount. Poète, Calle Ayala, 17, discounts on some items. Prada, in Goya Street 4, a percentage of the sales will go to the Foundation help in action. Pretty Ballerinas, in Goya Street, 17, a 15% discount. Pull & Bear, Calle Gran Vía, 31, a 20% discount, a party with DJ and Estrella Galicia beer. Bachelor Salvador, in the calle Velázquez, 24 and in José Ortega y Gasset, 26, parties and gifts for clients. Sephora, in the calle Velázquez, 41 and Gran Vía, 32, free makeup services. Sfera, Calle Velazquez, 47, there will be a discount. SITA Murt, in the calle Claudio Coello, 88, there will be discounts. Stradivarius, in the Gran Via Street, 30, there will be a party. SuiteBlanco, Calle Fuencarral, 15, different discounts. Swarovski, Calle Fuencarral, 34, a gift of an exclusive clutch crystallized for purchases over € 60. Tod’s, in the calle José Ortega y Gasset, 17, will present an exclusive piece designed for this appointment. Trucco, in the calle Serrano, 20 and calle Claudio Coello, 46, a gift for every purchase. Tous, Calle Goya, 27, a gift for every purchase. One of 50, in the calle Fuencarral, 17 and Calle Ayala, 26, there will be a party. Uterqüe, in the calle Serrano, 40 and Claudio Coello, 54, a 15% discount, and other surprises. Women´s Secret, in the calle Serrano, 29, various discounts and surprises. What Has the Fashion World 2013 for Us!